Has the “no pain, no gain” theory of exercise chased you back to your easy chair? Are you wondering why something that is supposed to be so good for you has to be so uncomfortable and inconvenient? Take heart! There’s an easier way: walking to lose weight. Many doctors, exercise physiologists, and other experts stress that the key to obtaining the health and fitness benefits of physical activity is to choose a regular, moderate exercise program that you enjoy and can stick with for life. After all, an exercise program will not do you much good if you do not follow it. So what do you choose? Why not pick the activity that you’ve been doing all your life? 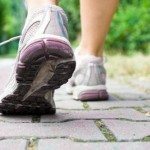 Walking – which has been our natural means of getting from one place to another – can provide you with health and fitness gains without the pain. 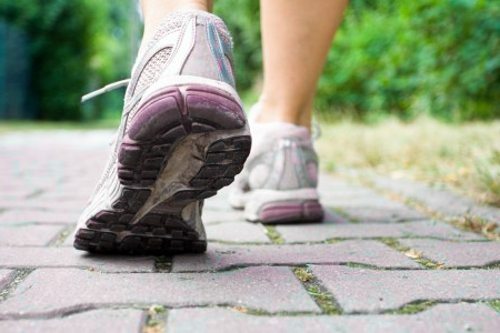 Walking is unbeatable in terms of convenience and safety and this low-impact activity has proven to have one of the lowest dropout rates of any form of exercise. Indeed, when exercise physiologists first investigated the health and fitness benefits of exercise, it was walking, not running, that they studied. Since then, walking has gained new respect as effective exercise. It is becoming more and more popular as a means to lose and control weight, tone muscles, build strength and endurance as well as increase aerobic capacity. In July 1996, research from the Cooper Institute showed that participating in moderate to high levels of physical activity reduced the risk of death from any given cause and this fact held true regardless of other risk factors. In other words, even if an individual suffers from high blood pressure or obesity, the chances of dying are lessened by maintaining at least a moderate level of fitness. This is incredibly good news, especially for individuals who have hereditary risk factors such as a family history of heart disease. Exercising for a sustained period of time is still the best way we know to make improvements in your cardiorespiratory fitness. But for many, exercising for long periods of time can be intimidating. And most of us experience days when unforeseen events throw off our schedules and prevent us from having a solid block of time for exercise. Significant health benefits can be achieved by simply ceasing to sit and starting to move and walking is proven to be beneficial even if you are taking two or more shorter walks squeezed in throughout your day.